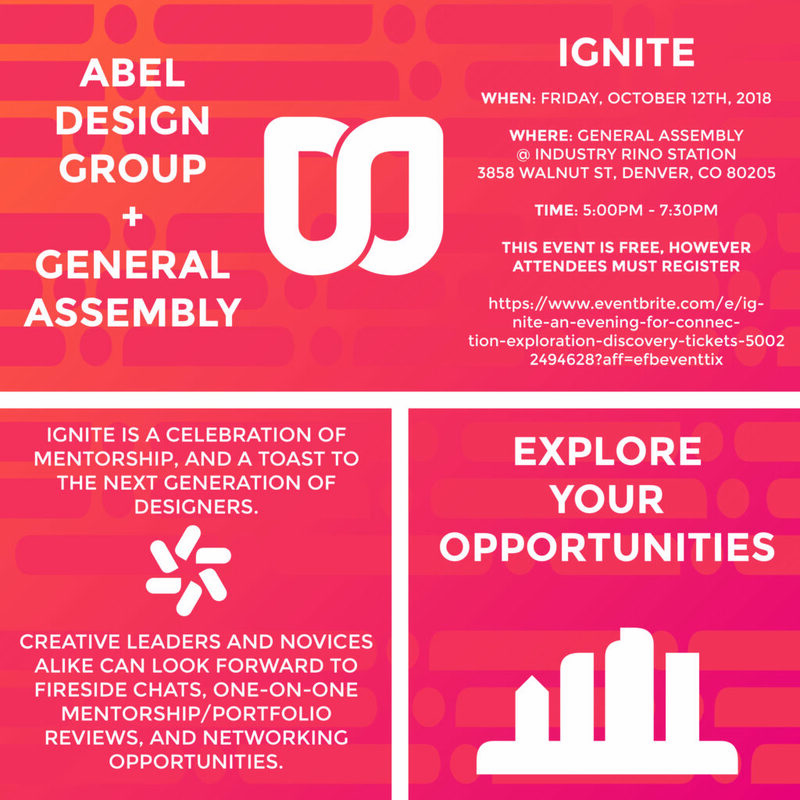 On October 12, Abel Design Group Denver, in collaboration with General Assembly, will host IGNITE, the first event of Denver Design Week. Abel Design Group Junior Associate Mei-Ling Krabbe and Abel Design Group Project Manager, Jenna Mersy (pictured above), have taken the lead in planning the event. This cross-disciplinary event is designed to bring together seasoned professionals and future designers / makers in the fields of Architecture + Interiors, Technology, Graphic Design, and Product / Industrial Design. 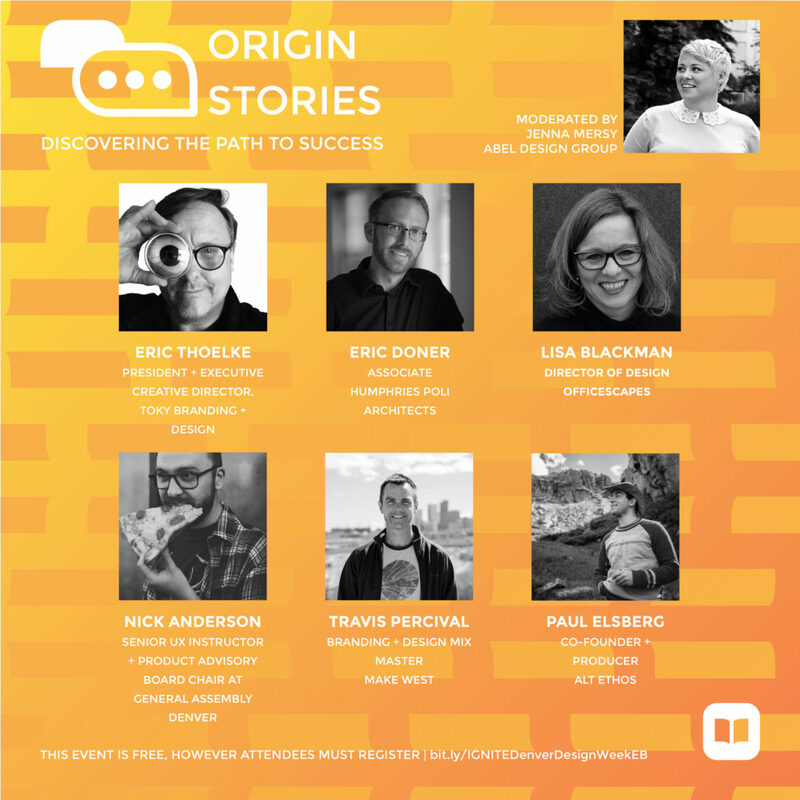 Created as an opportunity for mentorship, discovery, and connection, event activities include fireside chats, one-on-one resume and portfolio reviews, networking opportunities, and a panel discussion entitled “Origin Stories: Discovering the Path to Success” to be moderated by Abel Design Group Project Manager, Jenna Mersy.